The Blizzak LM-80 EVO is engineered for improved handling and control on both ice and snow as well as on wet roads. Designed to help drivers of all 4x4’s get the most out of their vehicles in harsh conditions. The uni-directional tread with advanced sipe platforms is included for winter traction and handling on ice and snow. 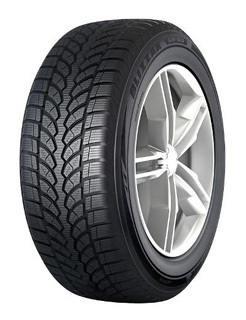 The under-tread compound and the inclusion of a lighter construction, reduces the tyre’s rolling resistance which helps to cut fuel consumption.